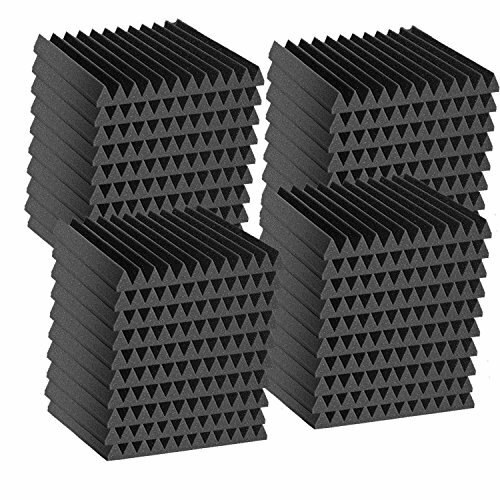 2 inch wedge foam provides moderate sound control on walls or ceilings. 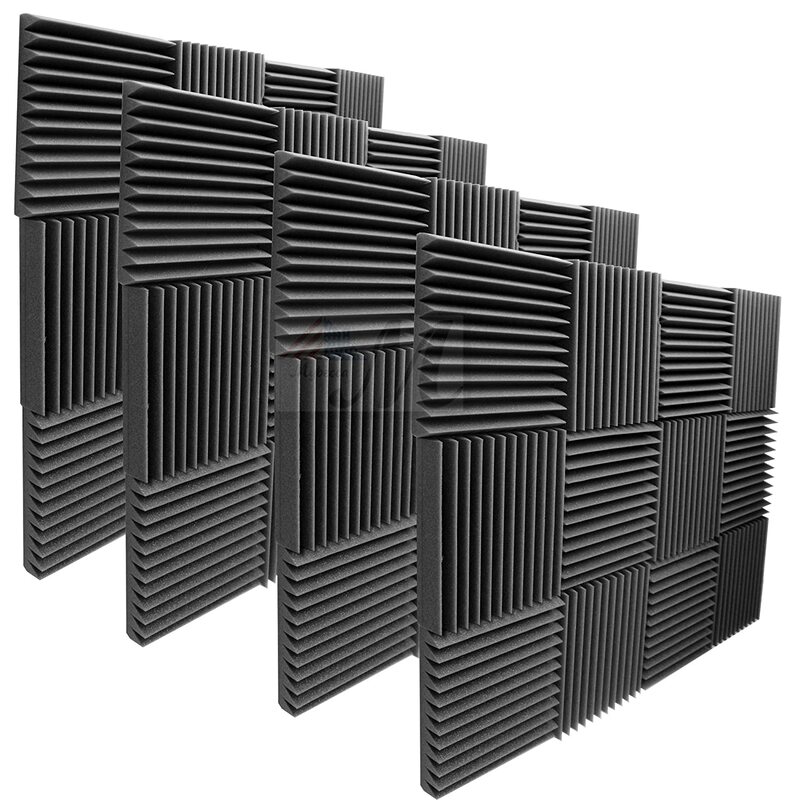 This product provides strong noise reduction , where moderate deadening is desired. 2 inch wedge foam is most effective on mid-to-high frequency ranges. Our foam can be aligned perfectly with the next piece to provide professional installation. Use: Perfect for use on walls, ceilings, doors, windows etc. Anywhere to help block sound and prevent echoes inside the room. 1.5" PREMIUM EGGCRATE DESIGN ACOUSTICS is an effective sound deadener for standing waves and flutter echoes, especially when used with ACOUSTIC CORNER BASS TRAPS. It also reduces slap-back and room ring when used in medium-sized areas like isolation booths, recording booths, control rooms, and sound studios. :: With its straight-cut sides, these Pyramid Acoustic Foams can easily be arranged side by side on a flat surface area (walls). ::: FOR DECORATIVE PURPOSES, can also be arranged side-by-side with the ACOUSTIC WEDGES AND PYRAMIDS.